"I considered many childcare options for my daughter when I had to go back to work after four months of maternity leave. 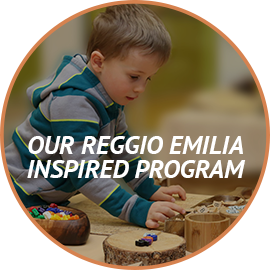 When I discovered Strong Start and learned about the Reggio Emilia method, where they provide ample hands-on learning and opportunities for the kids to really explore the subjects they're curious about, I immediately put my name on their waiting list. I couldn't imagine my daughter in another program! I was fortunate enough to get a spot for her and can't say enough about how incredible Strong Start, the program, teachers and staff are. It might be trite, but I truly feel like they are all an extension of our family. I gush about Strong Start to new parents and anyone else who will listen. Your child will thrive in this environment -- it's impossible not to!" Our Family Loves Strong Start! 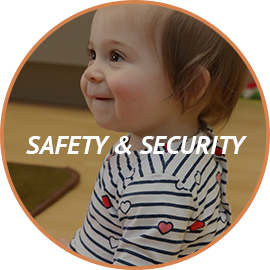 "Our 3-year-old comes home every day excited to tell us what he learned that day. What impresses me the most is that their education encompasses not only the math/reading/science areas, but they also work with him to develop social and life skills. After the recent birth of our second son, returning to work was so much easier this time knowing he was going to be in the Strong Start environment! He has been nurtured and cared for so amazingly in his infant classroom. In addition to wonderful teachers and curriculum, Strong Start has an incredible facility! 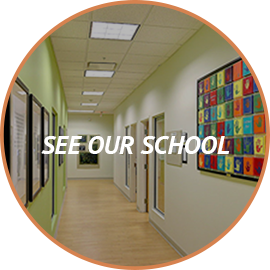 We toured several daycare facilities before visiting Strong Start, and between the beautiful classrooms, incredible indoor gym, and amazing outdoor playground, there was absolutely no comparison! 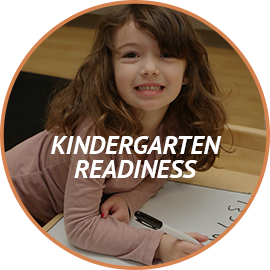 We are so grateful to Marc, Christina and the entire Strong Start family"
See for yourself how certified teachers, smaller class sizes and inquiry-based learning can help your child make the transition to Kindergarten—and beyond.